I designed this hook to be the strongest for its size in the industry. This custom hook is made by Eagle Claw for us to our specs. Black finish, lazer sharp, these hooks are tough, with a whisker barb that will pinch down easily. We offer them in sizes #10 through #2. 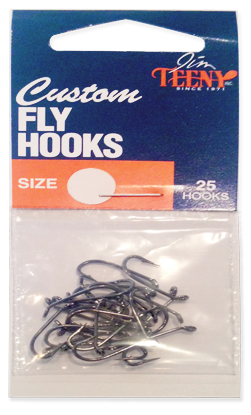 Many fly tiers are using our hooks to tie their special patterns because of their high performance.